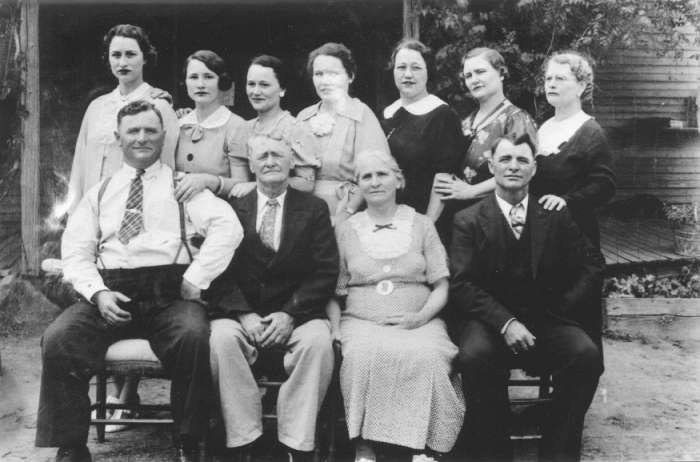 This photograph, showing nine of the fourteen children of Annie Taylor and John Thomas Eberhart C61, was made before 30 July 1941, the date that John Thomas Eberhart died. The scene was probably at a family gathering. Image and family information supplied by Tommie Eberhart Hughes C6157.